In this article, I introduce some books translated into English recently. A modern take on Frankenstein, a story about friendship, a story about loneliness and a story developing in a convenience store. 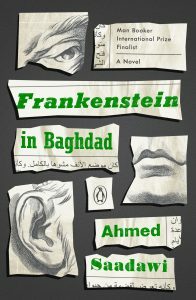 This is a 21st century version of Mary Shelley’s book where the author transposes this classic in the aftermath of the US invasion of Iraq in 2005 with a political emphasis. Hadi, a compassionate junk dealer collects and brings home body parts left in the streets from the frequent suicide bombings in Baghdad. He stitches them together to create a complete corpse hoping to give it a proper burial, avoiding that these dead bodies are treated as rubbish. The story starts when he finds and carefully stitches the nose that was still missing to his creation, which he names “Whatitsname”. Unfortunately Hadi wakes up to find out that Whatitsname has disappeared since unbeknownst to him, the corpse was possessed and animated by the soul of a security guard in search of a body and who sends this creature on a mission of vengeance. Whatitsname is possessed with righteous fury and he starts killing only bad men: the killers of his constituent parts. But as soon as the avenged parts decay and drop off, he needs replacement parts and he begins killing at random to acquire them, getting also caught in the cycle of violence. This is a powerful and engaging read, thought provoking and funny sometimes, the humor is rather dark though. The other characters like the woman who welcomes him thinking he is her son, a state agent, a journalist and his followers are all well developed and take an important place in this book. 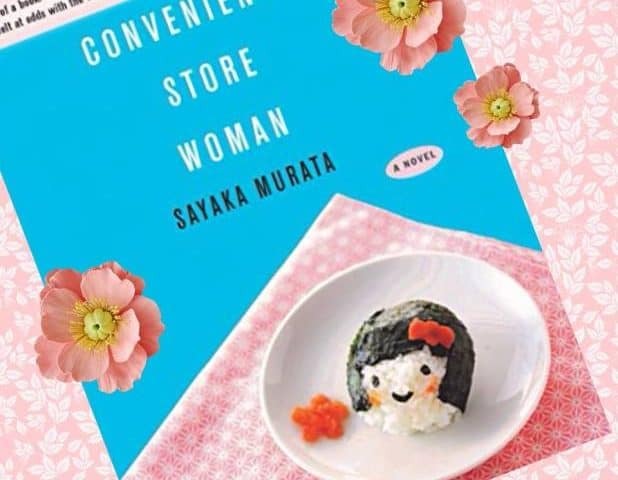 This novel is written in first person by Keiko Furukura, a woman who discovers very early that she’s not like everybody else and that she’s a worry to her family who’s always trying to fix her. She’s clueless about how to behave in society and in order to look normal keeps copying everybody to fit in: their clothes, emotions and voice infections. Her younger sister is always helping her to navigate the social relationships giving her instructions on how to be normal. She starts working at a convenience store when she’s 18 years old, but 18 years later she’s still there in what others see as a dead-end job. But Keiko enjoys working there because the detailed manual that taught her to be a store worker brings order to her life. She meets a troublesome colleague who tries to shake her beliefs about the idea of society and the roles that men and woman must accomplish to avoid being expelled from it. 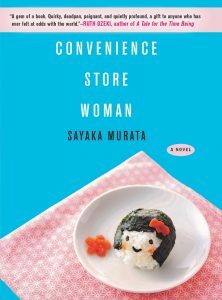 He moves to her flat and convinces her to finance him arguing that if she fakes being married with him she will be respected as a married member of society, a sexually active respectable human being, saving her from her “triple handicap” as a single, virgin and convenience store worker. Her life is the store, when she’s at home she closes her eyes and pictures the store and its noises to relax. It is in routine that this woman has a sense of a dependable normal world, and who is completely lost when she can’t follow a manual. 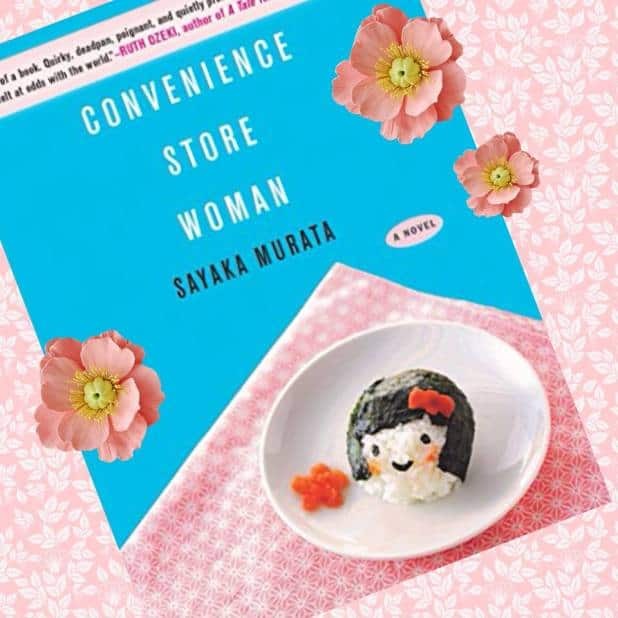 More than a person she defines herself as a convenience store worker, her job giving her a function in society. This is a sometimes funny and plainly written novel, interesting as it exposes the pressure to conform to the rules defined by society to survive, tackling questions about individuality. This is a book about loneliness and a woman in search of herself. Sonja the main character is an unsatisfied over forty translator of crime fiction, recovering from a breakup and with a positional vertigo. She decides to do something to change her unsatisfying life and starts taking driving lessons, but when we meet her six months later she still doesn’t know how to change gears (which is a metaphor for the life that she’s trying to control). 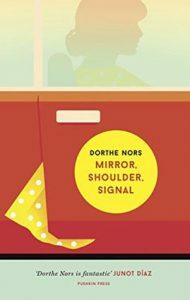 But this translator is not only struggling with the gears, she’s also struggling with language: she does not manage to convey her feelings to the people she most wants to, mainly her stranded sister, so she drafts postal cards that she never sends. The story is told in third person by a narrator that let us enter into Sonja’s consciousness where her inner world unfolds as we listen to her ruminations. She often looks back on her childhood growing up in a farm. The supporting characters (driving instructors, massage therapist, stranded sister) are very well developed and play an important part in this novel. Through them, the author brings deep insights into human nature. There is not much plot in this story but the prose is beautiful and conveys many feelings. It is also vivid and sometimes funny. We assist to Sonja’s transformation from her vulnerability to her capacity to take control of her life. In this story, Pietro an Italian 11 year old boy spends his summer holidays in the mountains where he meets and bonds with Bruno a local boy. 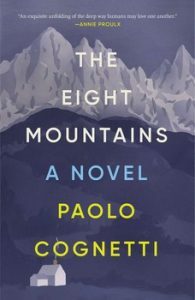 Pietro’s father loves exploring the mountains but the boy does not share his father’s enthusiasm, and this difference creates a disconnect between the two. It is Bruno with his love to the mountains who is a more natural heir to him. After his father’s death, Pietro returns to the hills and begins to walk his father’s favorite trails trying to understand him and their troubled relationship. This is a beautiful story about relationships between friends, but above all, between fathers and sons. This novel is written like a memoir. The language is simple and poetic, deep and vivid, the landscape descriptions are superb. This is a beautiful book about the endurance of friendship of two boys with different backgrounds. We see how the boys grow up, change, grow apart, move away and reunite.